I am very excited to be leading my first yoga retreat this summer! 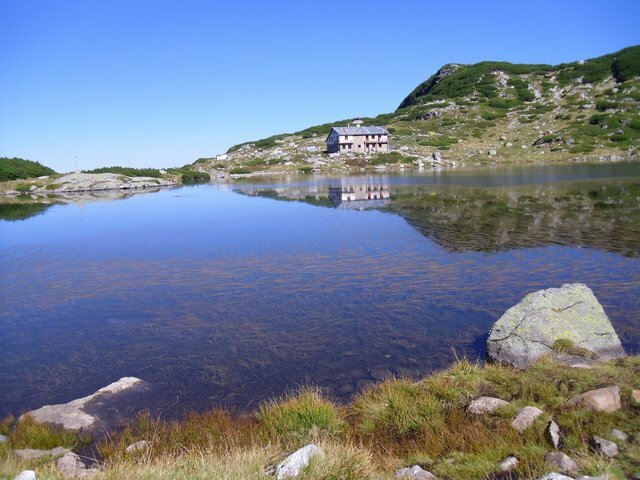 Only an hour from the capital Sofia, Rila View Lodge enjoys spectacular views of the Rila Mountains and the Seven Glacial Lakes. I've structured the retreat to allow plenty of free time to enjoy the natural beauty of the surroundings. Some evenings we will enjoy suppers in restaurants in the nearby villages, giving us an authentic experience of the local area and people. There are many other activities available: horse-riding, mountain biking and a cable ride up Mount Musula. The price of £795 includes accommodation, meals, a day trip to Sofia and a guided walk around the lakes - in addition to up to three yoga/pranayama/chant sessions a day and transport to and from the airport. IT DOES NOT INCLUDE FLIGHTS. For more information please contact me: roxannayoga@gmail.com. A £200 deposit is required at time of booking.